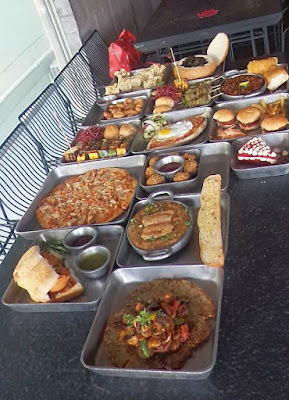 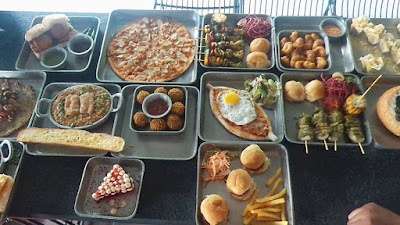 Experiential fusion food has been synonym to Glocal Junction's menu. Recently they celebrated their first anniversary with new menu. 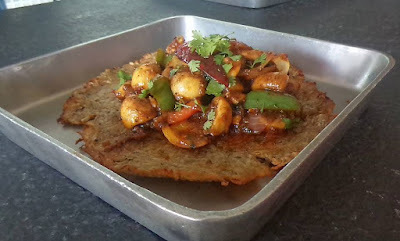 Some new dishes have been added to their menu which are not just delicious but also very fusion. 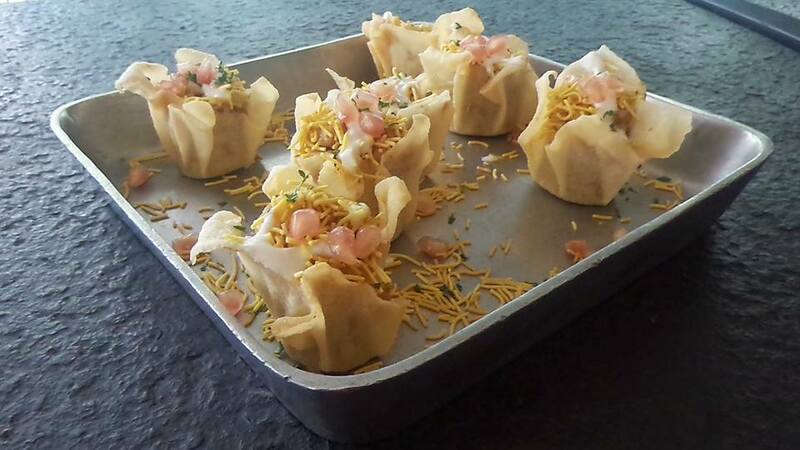 Tokri Chaat: An interesting starter which has a mixture of garlic sauce, pomegranate, sev, yoghurt, potato and cucumber in a crispy filo cup. 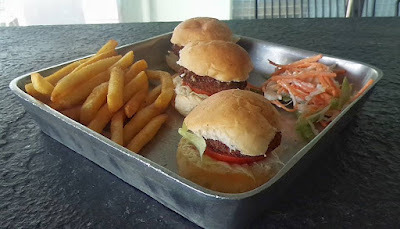 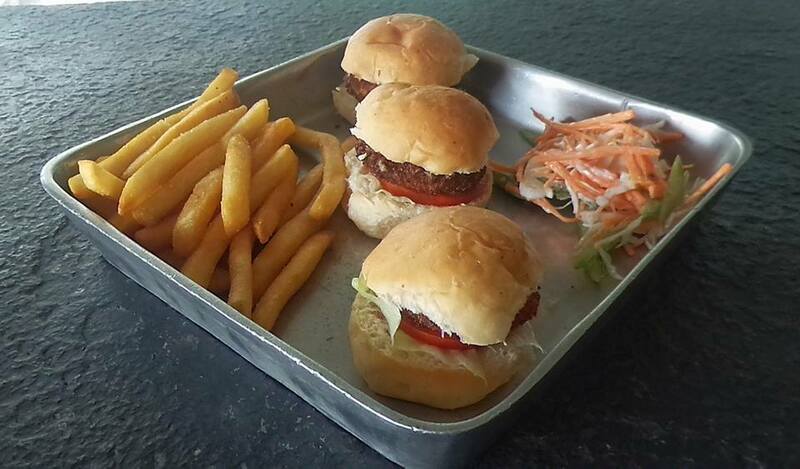 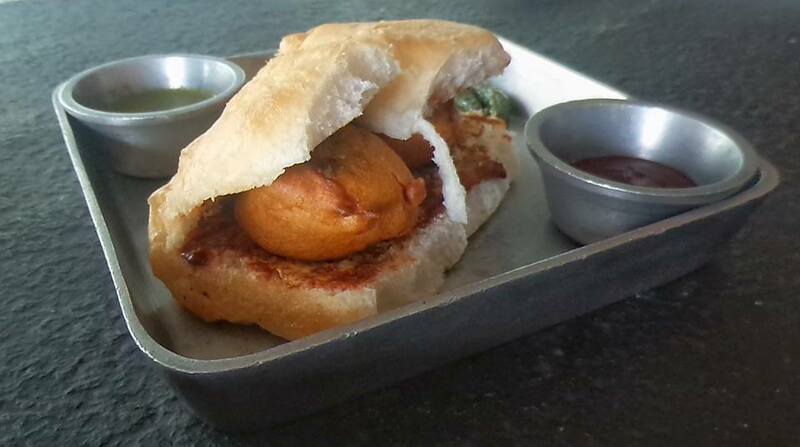 Vegetable Saoji Slider: Crisp patty sandwiched between fresh buns is a delight to binge on. 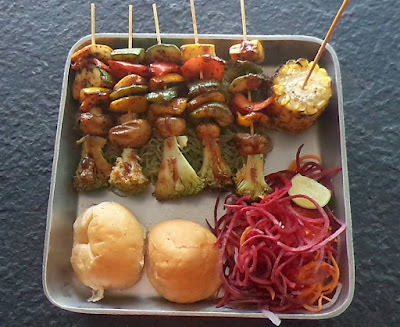 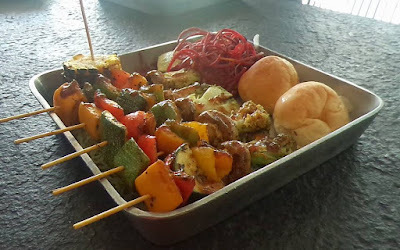 Bbq Veg Grill: A skewer of broccoli, zucchini, capsicum and bell peppers, with slider buns, pesto rice noodles, corn on the cob and lemon wedges on the side, is worth a try. Mumbai Vada Pav: Traditional vada pav which has been a weakness to many. 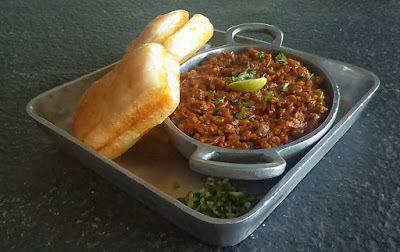 Soya Kheema Pav: Those veggies who would want to enjoy kheema pav minus non veg should try this. Kadai Mushroom on Potato Rosti: Mushroom lovers will enjoy this combo mushroom on potato rosti. 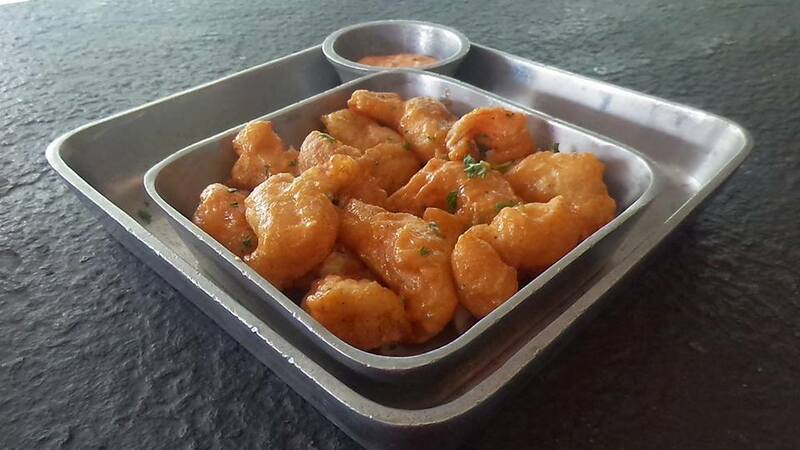 Dynamite Prawns: Prawns lovers like me will dig into the dish and is worth the try. 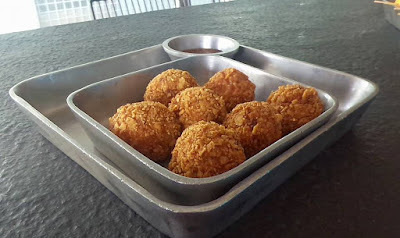 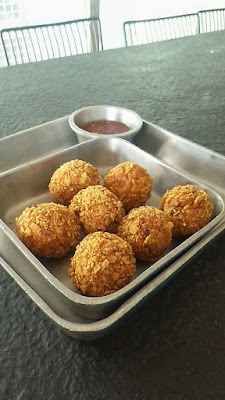 Cheese Chicken Bombs: Chicken filled with mozzarella cheese and served with sweet chilli sauce is a must try and those who eat bacon can enjoy Bacon bombs. 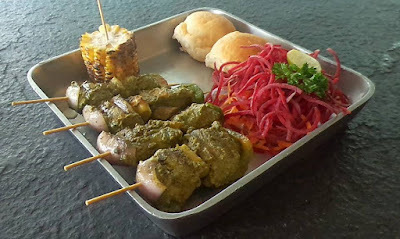 Curry leaves Chicken Skewers: Chicken with curry leaves combo is not tried much. 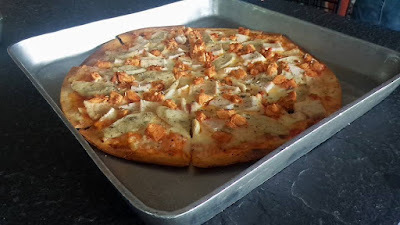 Meat Ultimo Pizza: An all meat pizza is for all those thin-crust pizza lovers. 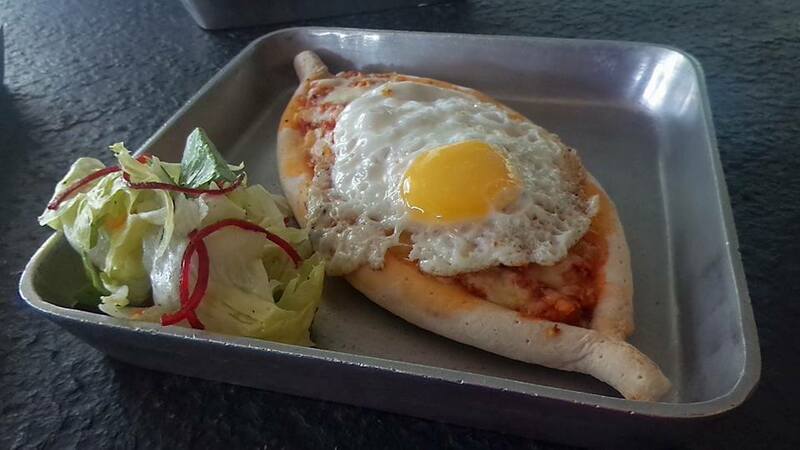 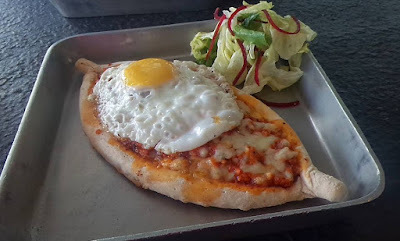 Khachapuri: Chicken and cheese filled Georgian traditional dish is one fusion food to try. 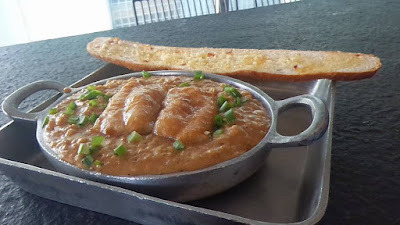 Rice Congee Risotto with Soya Grilled Fish: The subtle hints of garlic from the risotto went well with the soy-marinated fish. 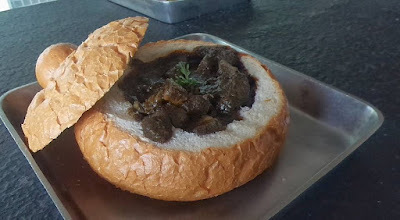 Coorg Pandi Curry Bunny Chow: Those who enjoy pork should try the pandi curry which is served in the South African- Indian style - in a bun hollowed out to form a bowl. 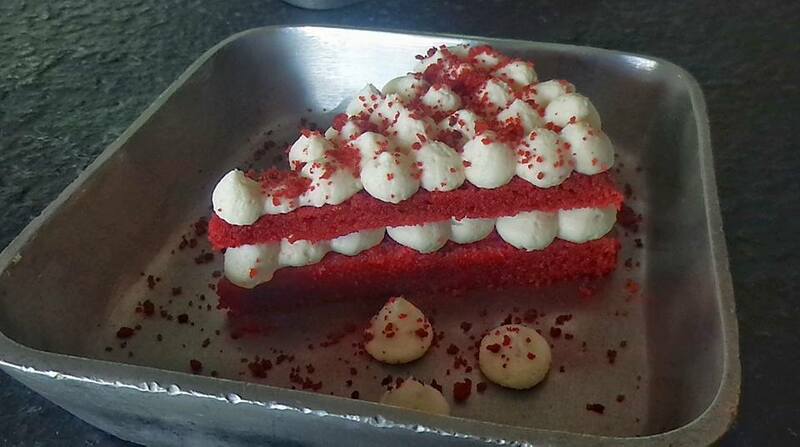 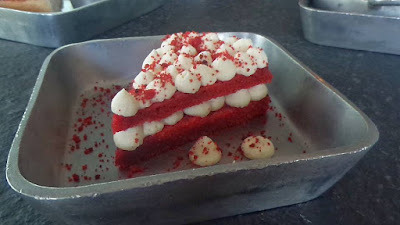 It is an insult to a meal to end without a dessert and if it is Red velvet cheesecake then one should not miss it, cream cheese sandwiched between red velvet cake. So head out to celebrate any noon or evening with Glocal Junction and have a fusion time of your life.